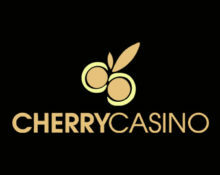 Cherry Casino – Mission Tournament! Play for a share of the €5,000 prize pool! All players who play during the promotional period will be issued with a unique ID number. Everyone can improve their score throughout the promotional period by restarting their missions after minimum 25 spins, their best score will be kept. Leader board is updated every 60 seconds showing the TOP30 only. Launched as early as 2000, the casino is operated by the acclaimed Play Cherry Ltd. under licenses from Curacao, MGA Malta and the UK Gambling Commission. A large games are offered on desktop, mobile and tablet from Netent, Microgaming, Amaya, Yggdrasil and Play’n Go. The LIVE Casino tables are provided by Netent Live. A good range of currencies and payment methods such as Visa, Master Card, Instant Banking, Neteller, Skrill, Paysafe Card, Trustly and Bank Transfer ensure fast and secure withdrawals. The website is available in English, German, Finnish, Norwegian and Swedish languages and customer support provided 24/7 via Email, Live Chat and Phone.